I am 21 years old artist-student. Note me if you need any information about trades, collabs and commission. Thanks for visiting of my page! What type of my drawings you likes the most? 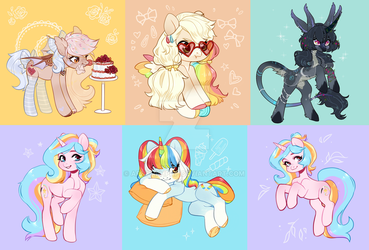 97 deviants said Usual ponies! I am opening commissions in my journal, usually a few slots. Check my journals to see if there are aviable slots for commission! If not - check the date of opening, next time i usually open them after 2-3 weeks. Margony has started a donation pool! Passed by from YCH Commish, love your profile and material! Hello~! Are commissions open? if so, any idea where I could find a price sheet? thankies~!